I discovered tweezers at the ripe age of 12 and immediately developed an obsessive relationship with them. I pluck, pluck, plucked my brows until I couldn’t pluck anymore (literally. My mom had to physically disarm me and hide the tool for good). By the end of it, you could count my remaining hairs on just a few fingers. 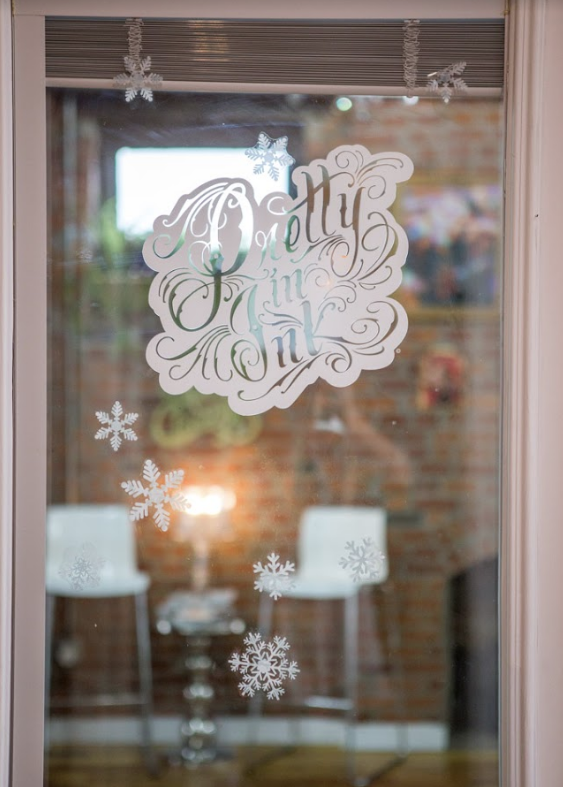 Scroll down to win a $200 gift certificate to Pretty in Ink! 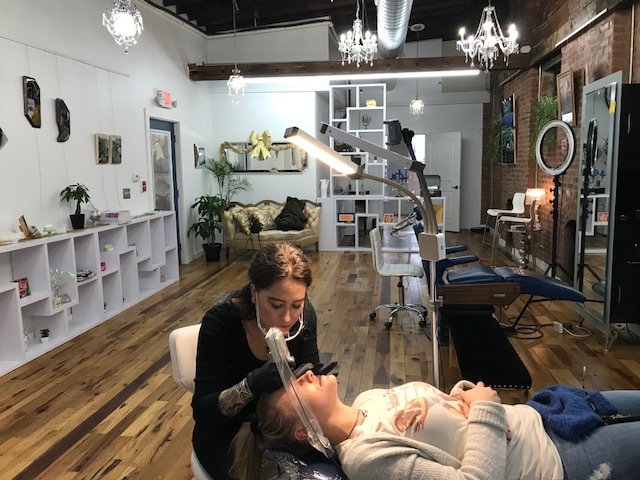 Mandi, the owner of the gorgeous Downtown loft located at 122 E Main St., Columbus, has been beautifying brows since 2008 when she became formally trained, certified, and licensed for cosmetic tattoo applications. 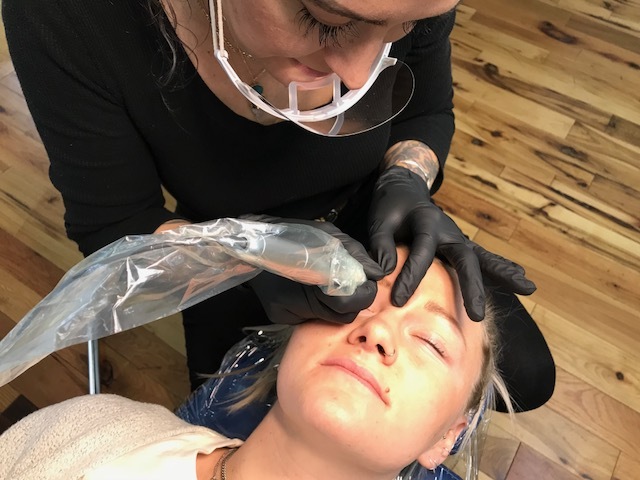 She is equipped to do cosmetically tattooed eyebrows, eyeliner, freckles and beauty marks, and lip color. 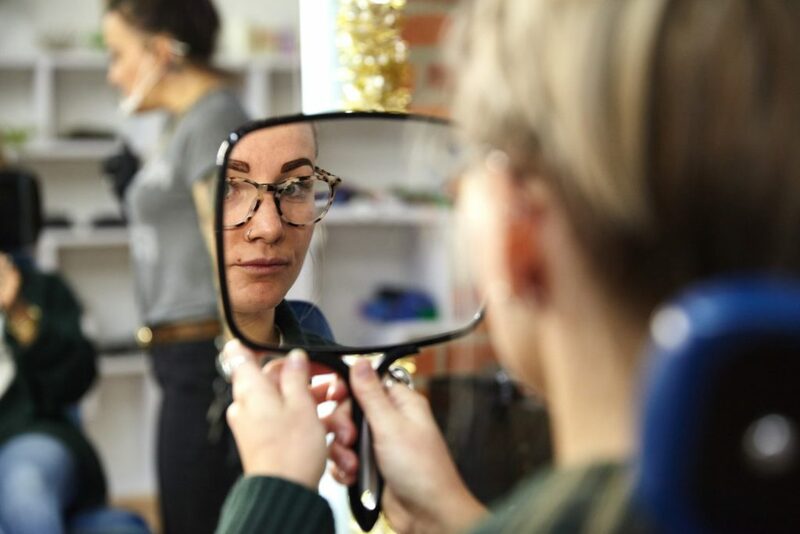 With some conversation, numbing cream, and a whole lot of expertise, she turned me into the “after” version of myself I didn’t know I could be. Read on to learn about how I ditched my brow burden. The first step to my brow makeover was a consultation. 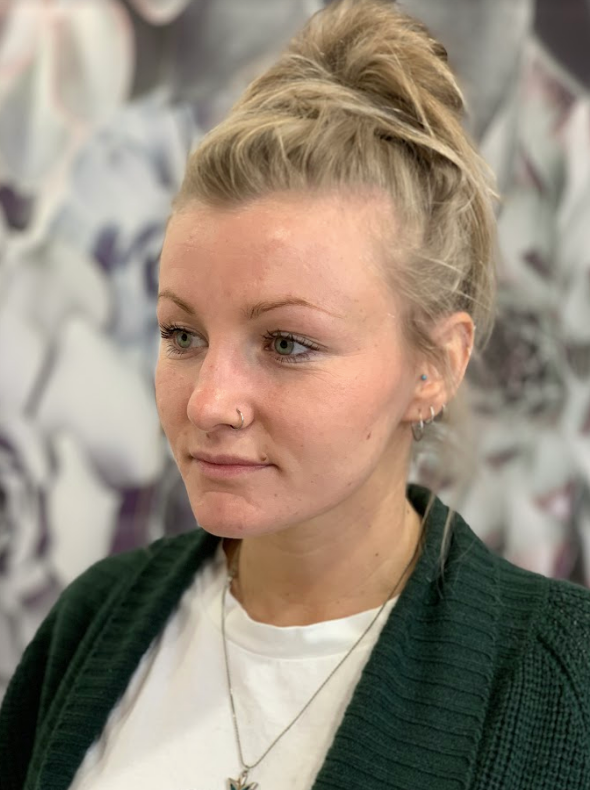 Mandi and I met to discuss three things—skin type, lifestyle, and expectations—in order to pinpoint which tattooing service was best suited for me. Oily skin, a fast metabolism, and exercise can all contribute to rapid fading. Lucky for me, I checked all three boxes. 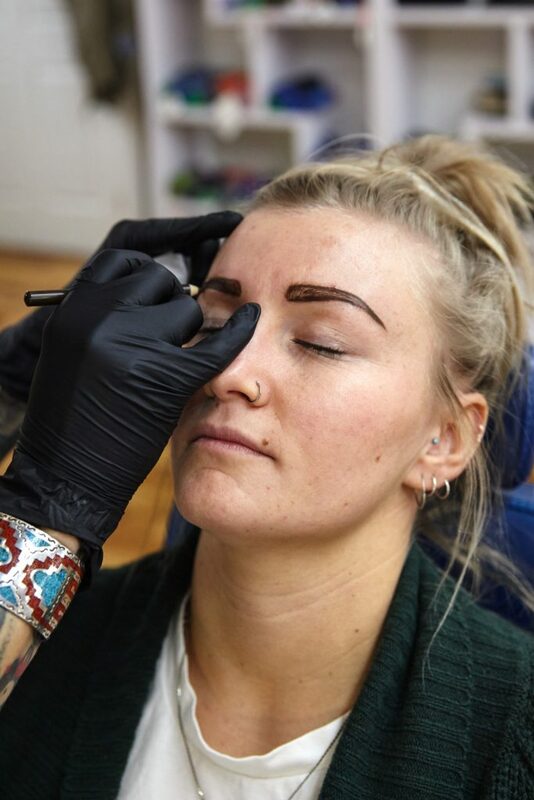 I also told Mandi that I was in the market for a natural-looking fix to my 90s eyebrows which narrowed my options down to two: machine tattooed brows and microblading. 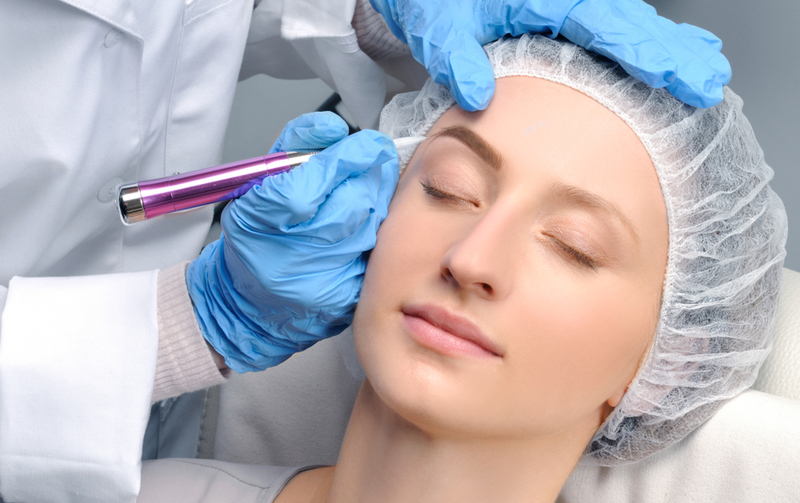 Machine brows are done using a fine needle within a hand piece powered by electricity to puncture and deposit pigment. 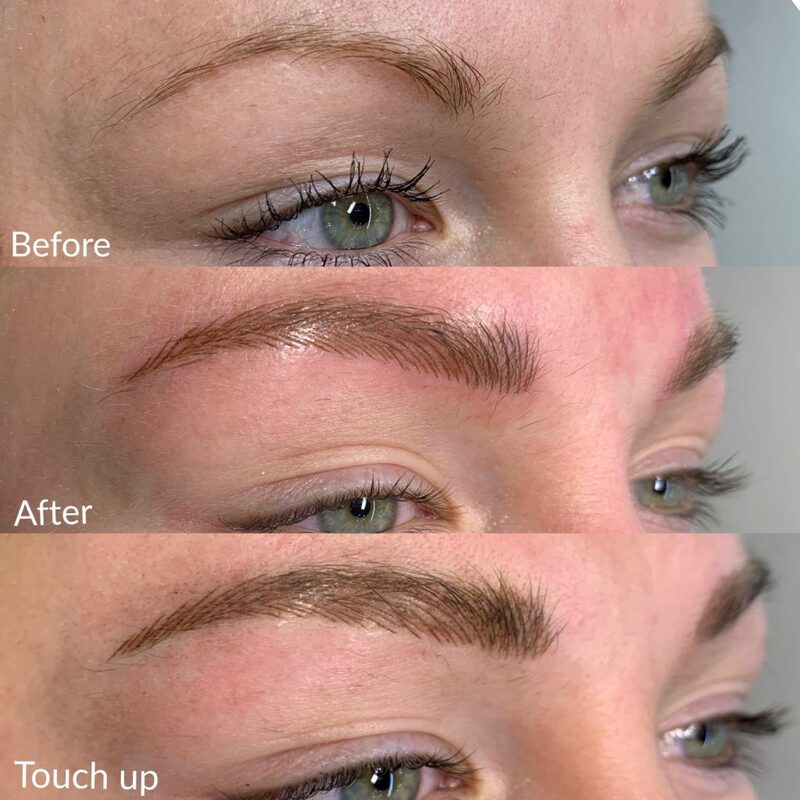 Microblading, on the other hand, is a very popular, manual application using a simple blade to place the pigment into the skin. 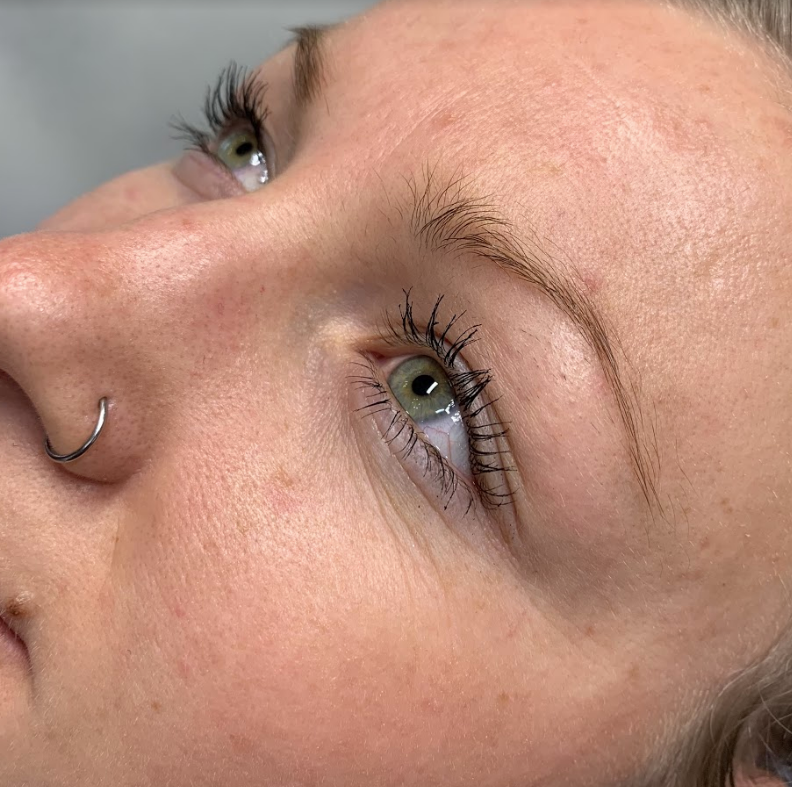 Machine brows tend to last a little longer while microblading is more of a superficial application of pigment placed just a little higher in the dermis. To be honest, I had never heard of the former and the sounds of it intimidated me a bit. 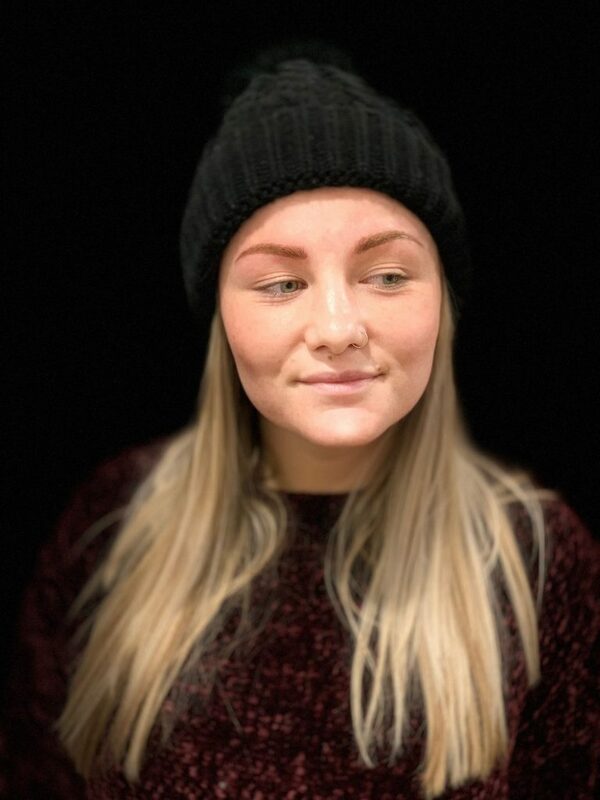 But, considering the toll my skin type and lifestyle would take on microblading, Mandi and I both agreed that machine tattooed brows were the best option to meet my eyebrow expectations. After considering the shape of my face, desired pigment, and some #browgoals photos I showed her, Mandi used a makeup pencil to fill in my brows. This would ultimately become the shape of my tattooed brows, so I made sure to take my time and vocalize any changes I wanted to make. 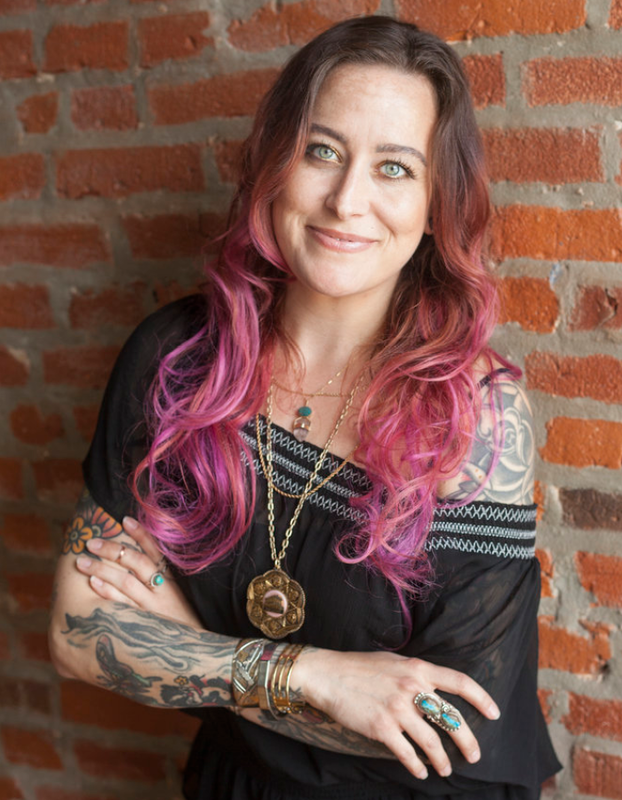 Once we settled on a shape, Mandi leaned me back in the chair and booted up the tattoo machine. Now, we all have different levels of tolerance but in my opinion, the pain was minimal. 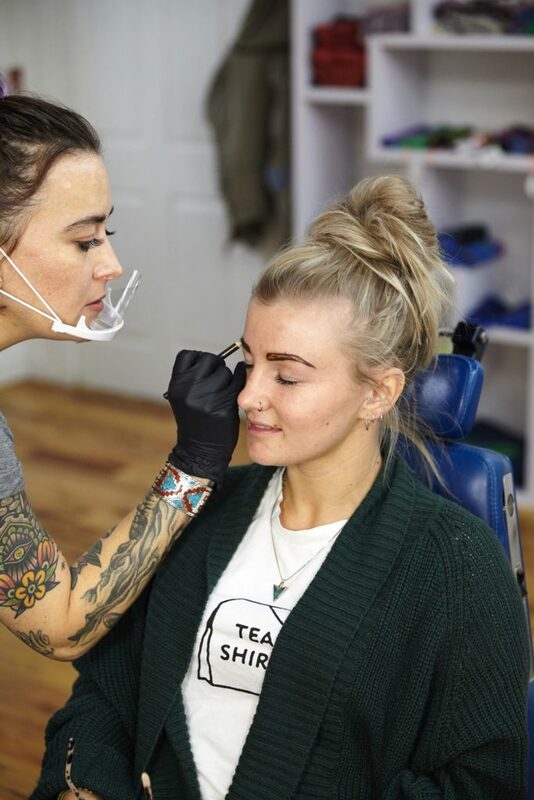 The cosmetic tattoo machine hurts far less than a typical tattoo machine. Plus, after the first pass, Mandi slathered me up with numbing cream which eliminated the pain entirely. All I did was sit back, and relax for about 90 minutes while Mandi did her magic. I used a makeup pencil to supplement my faded tattoos until it was time for my touch up appointment a few weeks later. 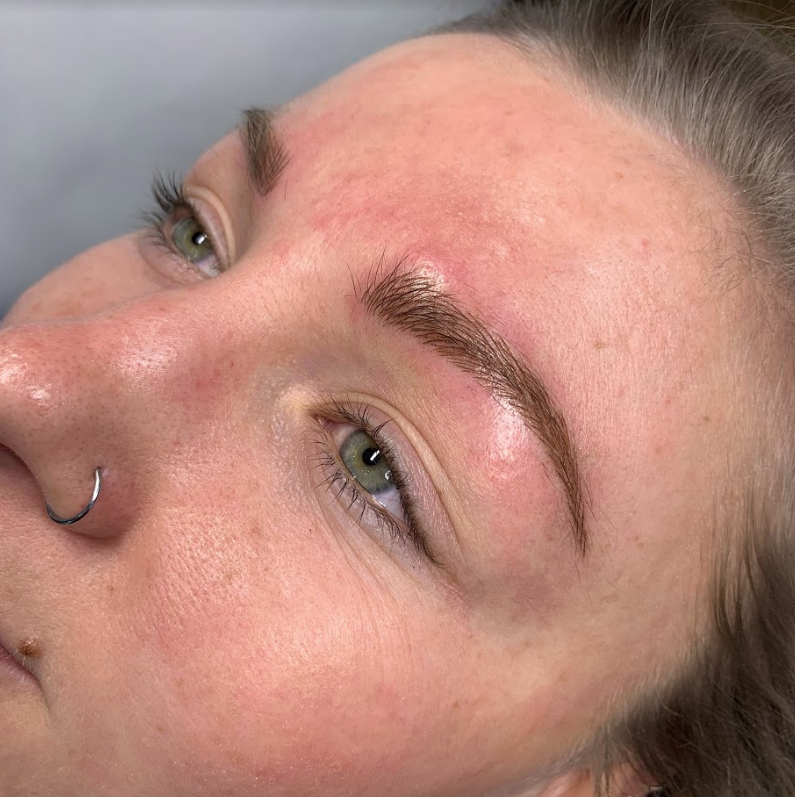 Mandi retraced my hair strokes and the healing process began all over but this time, when the scabs healed, my my perfect brows miraculously reemerged and were here to stay. As long as I avoid the sun and excessive moisturization, I don’t expect to be back in the Pretty In Ink chair until this time next year. 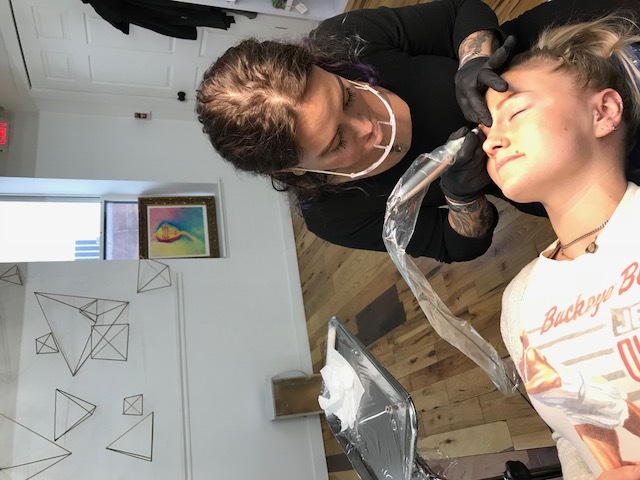 There’s a meme floating around FaceSpace that says, “When I was little, I never thought eyebrows would be this important.” What I’ve learned through this process is that eyebrows themselves are just a couple stretches of hair on your forehead, but the confidence they give you is what’s so important. I can face each day self-assuredly without a stroke of makeup on my face and that is the power cosmetically tattooed eyebrows. 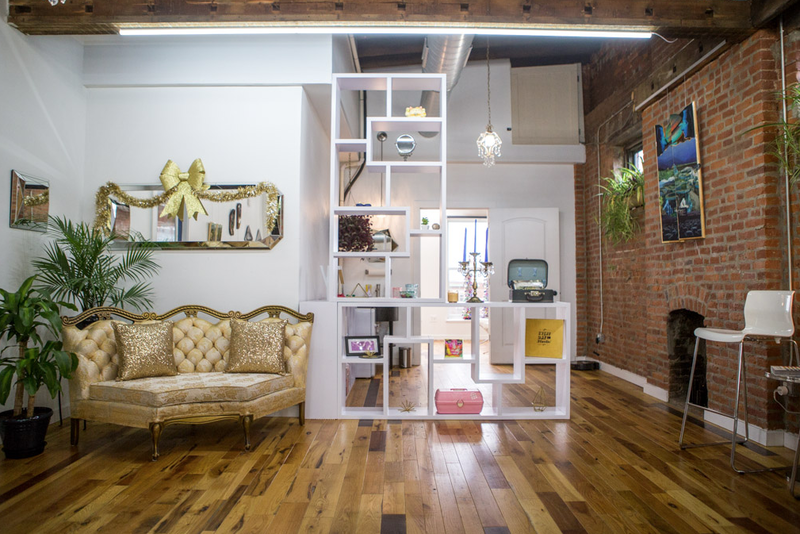 Pretty in Ink is located at 122 E Main St. in Downtown Columbus. 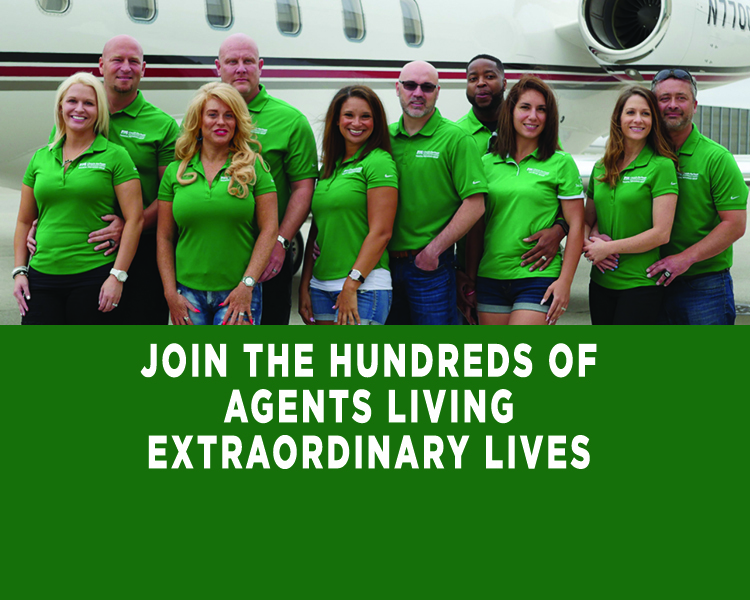 To learn more about Mandi and Pretty in Ink, click here. 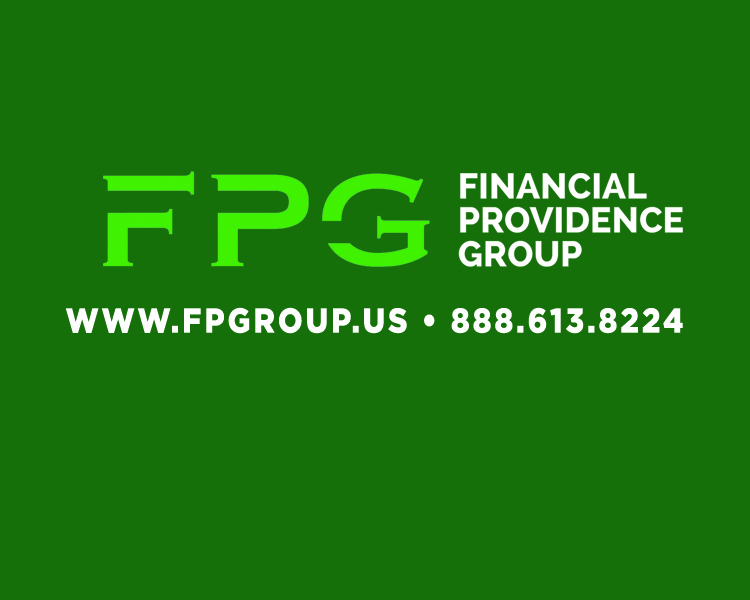 To contact Mandi about a consultation, click here. 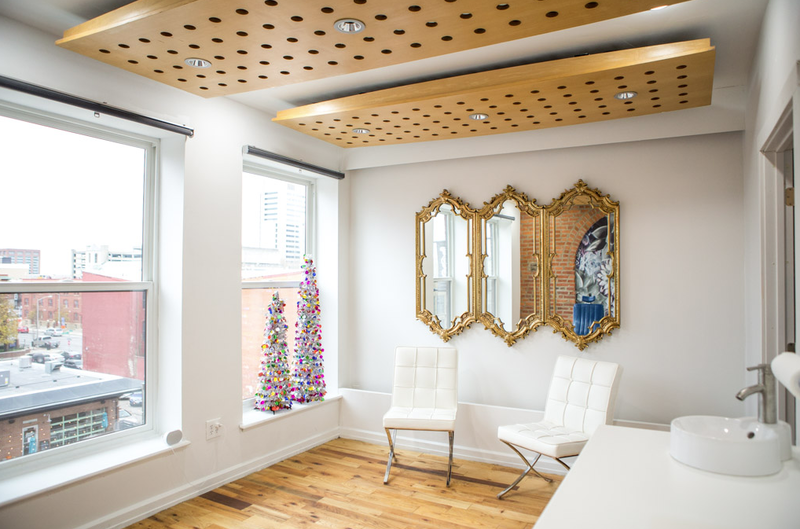 View more before and after photos on the Pretty in Ink Instagram.